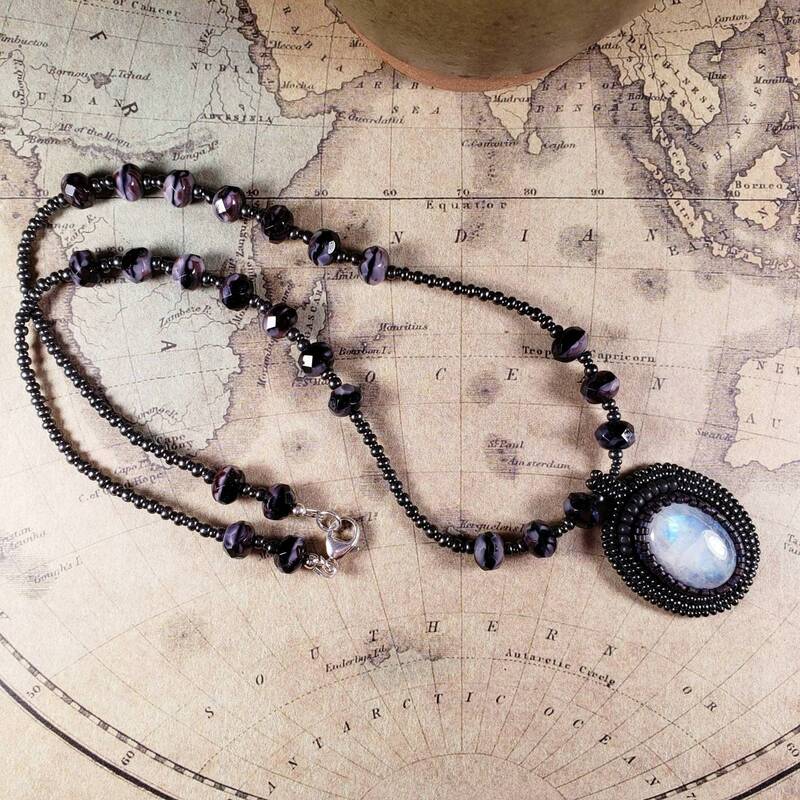 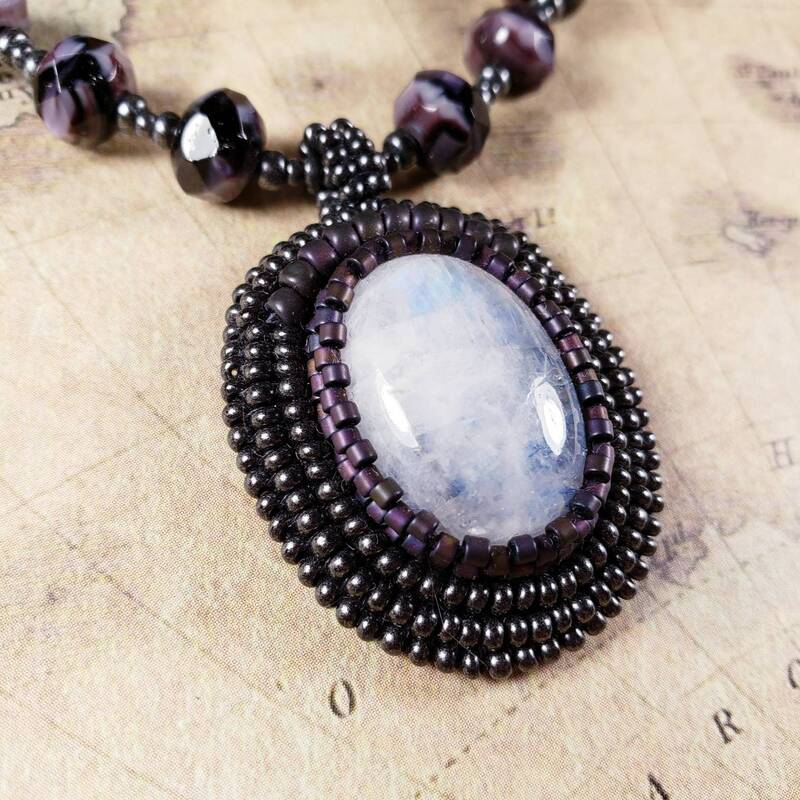 Beautiful opalescent Moonstone pendant has a very ethereal look and style. 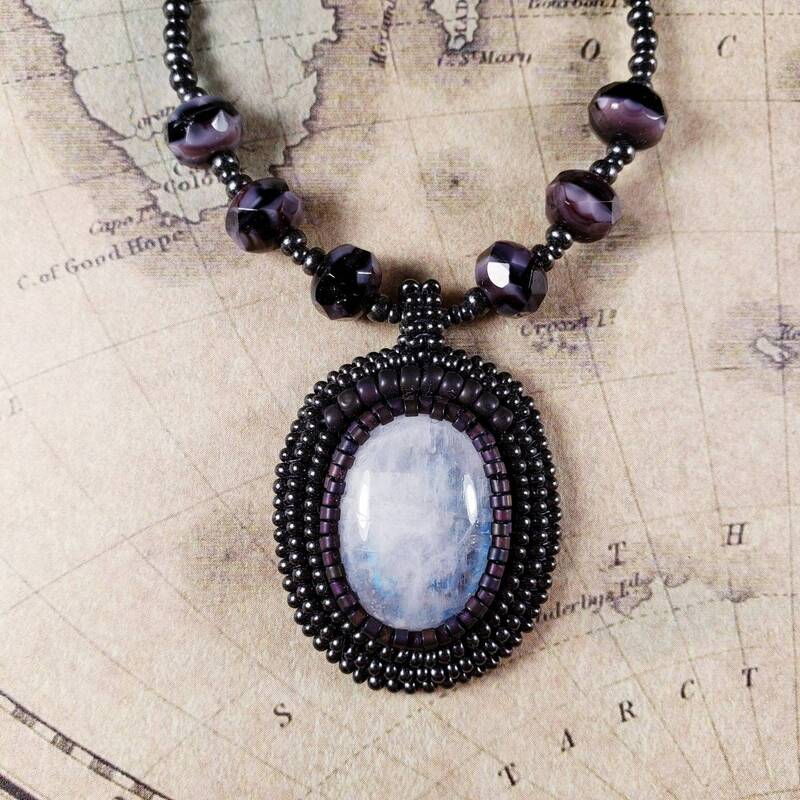 Framed with rich aubergine beads to bring out fiery luster. 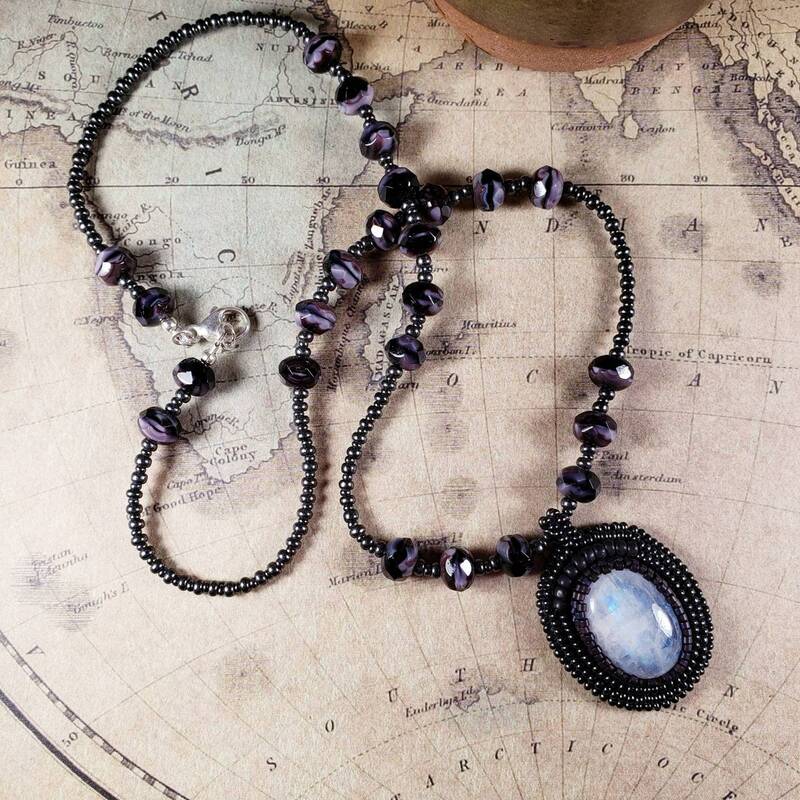 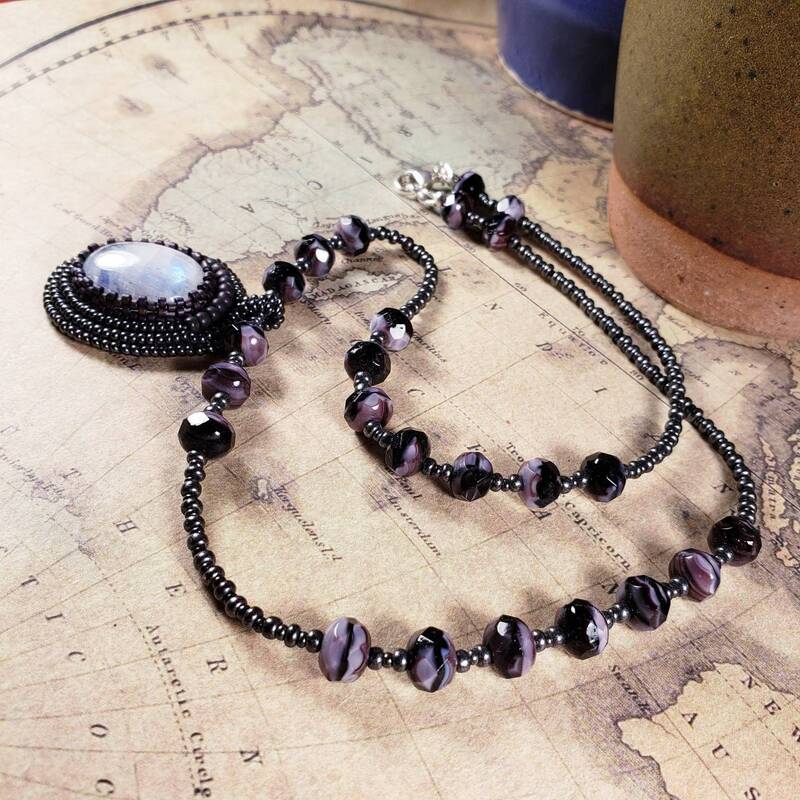 Beaded necklace is accented with creamy purple faceted Czech glass rondelles and pewter glass beads. 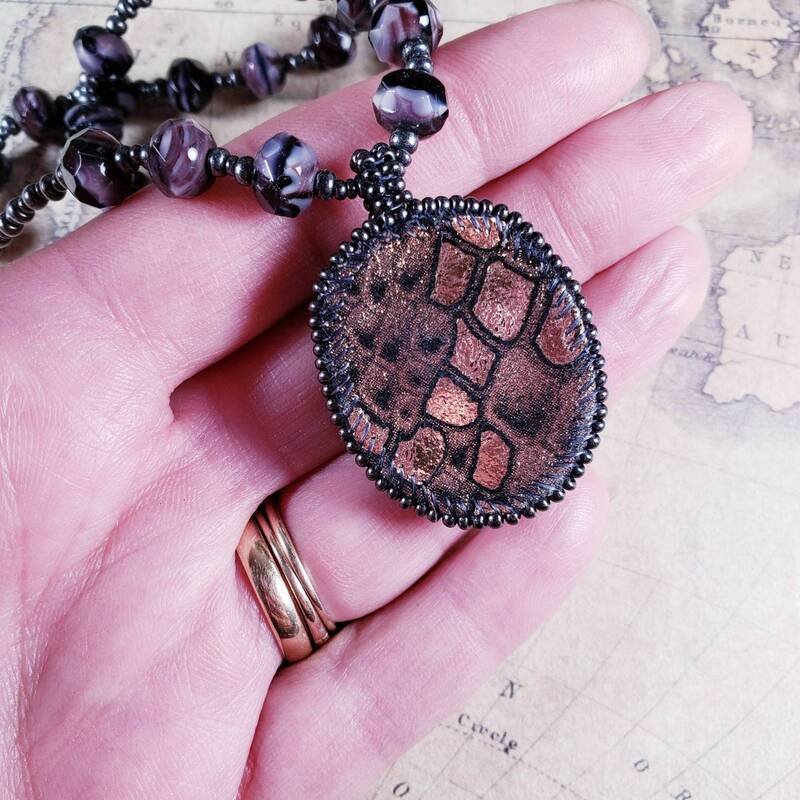 Pendant is approx 1.75" x 1"